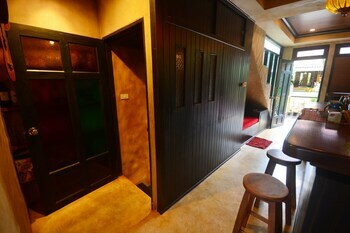 With a stay at Jikko Harem Pai in Pai, you'll be within a 15-minute walk of Walking Street and Wat Klang. Featured amenities include dry cleaning/laundry services, a 24-hour front desk, and luggage storage. A roundtrip airport shuttle is complimentary (available 24 hours). With a stay at Ferb Guest House in Kathu, you'll be within a 10-minute drive of Patong Beach and Bangla Road. Featured amenities include express check-in, a 24-hour front desk, and luggage storage.